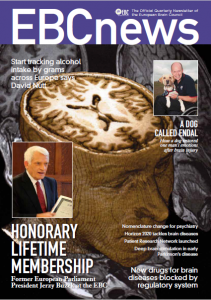 We are delighted to announce the launch of EBC News, which is the official quarterly newsletter of the European Brain Council (EBC). The Council coordinates the interests of European organisations in neurology, neurosurgery, psychiatry, neuroscience, as well as patient organisations and industry. This official quarterly newsletter, EBC News, aims to communicate all the different elements of brain diseases including the science and challenges that our European society faces in the future. Primarily, the publication will highlight the objectives of the EBC with the emphasis on the organisation’s interest in changing the political and practical landscape for patients and other stakeholders. The publication will be a valuable tool that can be utilised by EBC members to demonstrate the educational value of their activities, attracting support and increasing membership numbers. 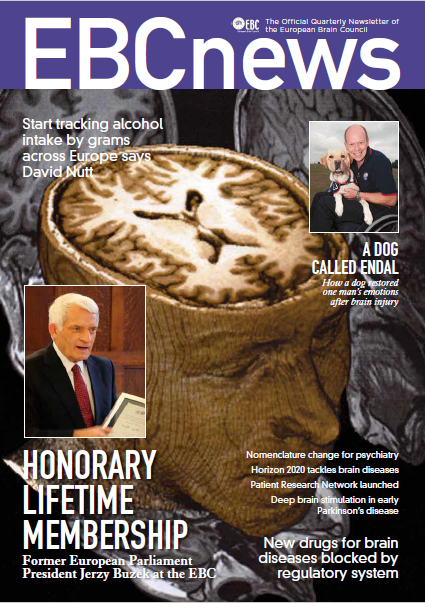 Throughout the year, the publication will also enable the EBC to further promote all their projects and meetings, with particular focus on the Year of the Brain in Europe in 2014. The news content will be designed with a focus on cutting-edge issues, medical advancements, ethics and societal values. Featuring a range of interviews, in-depth reports and issues, the newsletter will provide an opportunity to inform non-members and other interest groups of the work of the EBC. Just as importantly, EBC News will feature stories from patients about how their illnesses have changed their lives and how they have overcome some very serious conditions, as well as from carers- those unsung heroes who merit our huge gratitude for, at times, the difficult roles they play. We hope that you will enjoy reading EBC News and ask that you contribute or suggest topics that you would like to see covered in future issues. Read the 2nd EBC News.